The Ace hasn’t been caught yet. You can join us Thursday at Overtime Bar and Grill and try your luck. Tickets are $5 and go on sale at 5pm. We draw one ticket at 8pm and that person wins 20% of the nights ticket sales. Then the winner tries to Catch the Ace by choosing one of the remaining sealed envelopes. 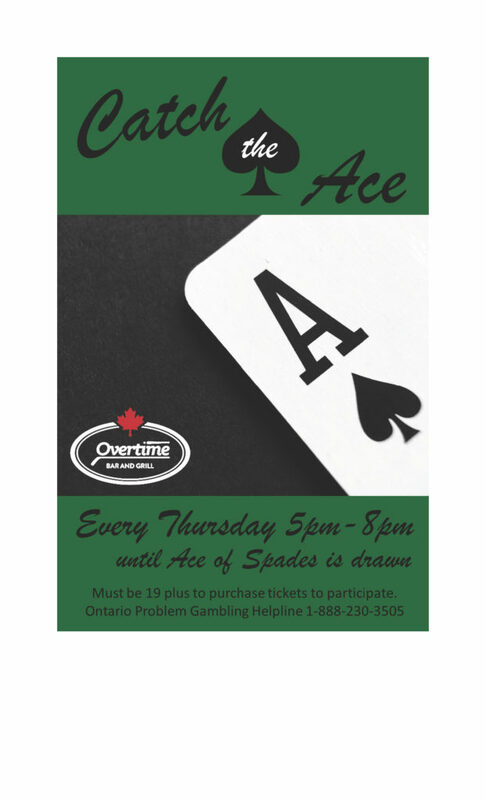 Find the Ace of Spades inside and you win the progressive pot, currently $940.50 and 30% of the evenings tickets sales. See you there!